Newspapers were disappearing from the Reading Room. Etiquette would not allow the Committee to suggest that a member might be the culprit. 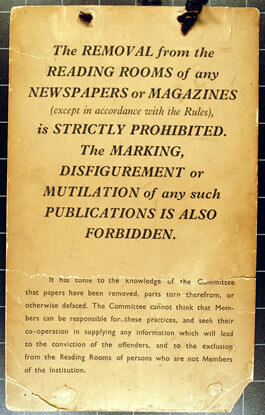 A Warning notice dating from the late 19th century.